Cleaning just got a whole lot easier with this handheld vacuum and mattress cleaner. 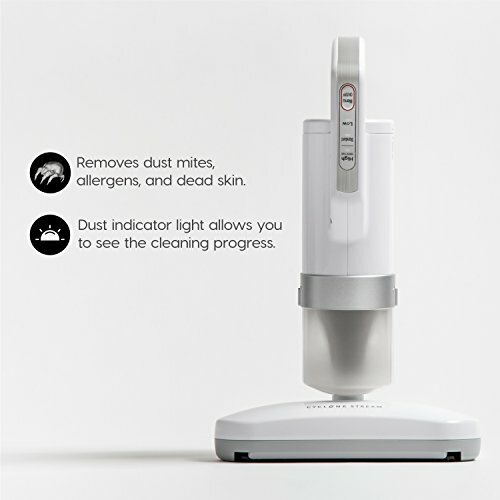 The unique dust sensors power the dust indicator light, letting you know how much dust is on the surface area. Lightweight, this cleaner is easy to use and move around. The extra-long cord of the makes it easy to reach those hard to access area. Great for mattresses, couches, and more.